Eighth Blackbird, Dan Trueman, Iarla Ó Lionáird, Paul Muldoon Adventurous Chicago-based sextet Eighth Blackbird hitches up with American composer Dan Trueman for a contemporary Celtic cantata that spans two discs. Poet Paul Muldoon’s macaronic libretto draws on Irish myth and dances between the English and Irish languages with plenty of wordplay, and lissome-voiced sean nós singer Iarla Ó Lionáird (of supergroup The Gloaming) is a magnetic storyteller, guiding us through the gritty fable. Danish String Quartet This smart young quartet has already shown its mettle in the classical standard repertoire and contemporary music. “Last Leaf” now finds them jumping into another stream of music: sprightly and bittersweet Scandinavian folk tunes, covering ground from the oldest known Nordic secular song to original compositions by the group’s cellist Fredrik Sjølin. 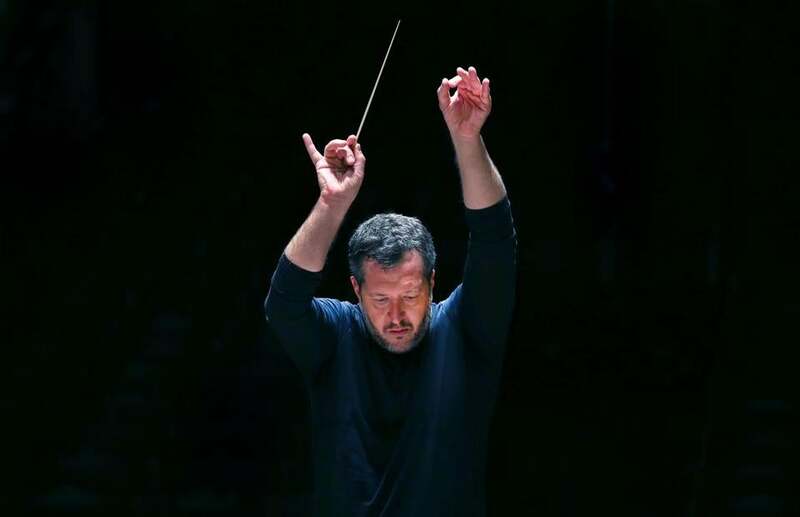 London Symphony Orchestra; Thomas Adès, conductor Boston Symphony Orchestra artistic partner Thomas Adès conducts the London Symphony in his own macrocosmic orchestral works. The techno-inspired third movement of “Asyla” thumps and jitters with electrifying sublimity, and “Tevot” and “Polaris” sail through the stars, rocking and humming like generation ships. Stile Antico The conductorless British vocal ensemble has produced a translucent collection of sacred music by late Renaissance Franco-Flemish composer Giaches de Wert. The singers traverse the labyrinthine lines with fluid vitality and retain a sense of calm centeredness throughout. Beatrice Rana, piano In an interview with The Guardian, 24-year-old Italian pianist Beatrice Rana revealed that the first record she remembers listening to is Glenn Gould’s rendition of the Goldberg Variations, at age 8. Sixteen years later, her own take on Bach’s epochal variations teems with life and curiosity. Some variations seem to float and curl in the distance, others leaping out of the speakers. Gravitas interweaves with whimsy, exuberance with wisdom. In March 2016, Boston Modern Orchestra Project and superhero soprano Courtenay Budd plunged down the rabbit hole into David del Tredici’s monumental two-hour fantasia “Child Alice,” presenting a one-night-only performance at Jordan Hall. The technical twists and excruciating demands of the work may preclude frequent live performances, but this recording on in-house label BMOP/sound is a masterpiece in its own right. The bubbling frenzy and acute desperation of the live performance telegraph exquisitely. Next stop, Wonderland.